NAVITEL ® – is a leading navigation solution provider for automotive navigation industries, specialized in development and production of satellite navigation software and cartography. Navitel Navigator is multi-platform multilingual navigation, running on Android smartphones, Apple iPhone/iPad, BlackBerry Q10/Z10/Z30, Windows Phone 7.5/8, Symbian, Bada, Windows CE, Windows Mobile, Java platforms with outstanding 3D graphics and real-time traffic service. The GPS map of the Philippines covers the entire country and contains a detailed road network for 300 cities. Roads and main highways are rendered with precision which enables the user to plan a route for sightseeing in any point of any island of the Philippines. 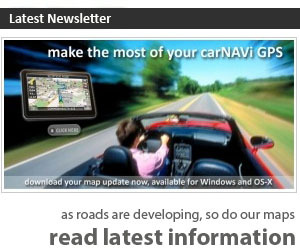 The NAVITEL GPS map for the Philippines is also ideal for Tourists and Travelers. The map contains numerous places of tourist attraction, which should definitely be included in any journey to the islands; the National Museum of the Philippines, the Chocolate Hills in the island of Bohol, Banaue Rice Terraces are among them, as well as main natural attractions such as the smallest volcano in the world (Taal volcano), Mayon volcano and Mount Apo, which are located in the islands of Luzon and Mindanao. Special attention has been paid to eating places, hotels and lodgings of various levels, places of entertainment and trade. The map includes residential and industrial objects of cities, towns and settlements, detailed road network, including streets and roads and taking into account road traffic direction, as well as interchanges, roundabouts and other important information. The NAVITEL App and the navigation map for the Philippines is available for Apple iPhone, Apple iPad (3g), Android Smartphones, Windows Phone bases smartphones and Blackbarry Q10/Z10/Z30. 1 year subscription — 14.99 US$. 1 month subscription — 2.99 US$. To purchase the map for Android, Blackberry or Windows Phone 7.5/8 please proceed to the “Buy” section of the official NAVITEL® website. For Android smartphones or Apple iPhone users can purchase a license key for the Philippine map at Google Play / Apple App Store and from the Navitel program menu by selecting “My Navitel” → “Purchase maps”. Important! Please note that the Q2 2014 map of Philippines is compatible only with 9.1.0.0 and later versions of Navitel Navigator.